Zombies have literally been done to death. How could we create a quick turnaround, new angle to celebrate the return of the latest series and promote NOW TV as the best place to watch it? 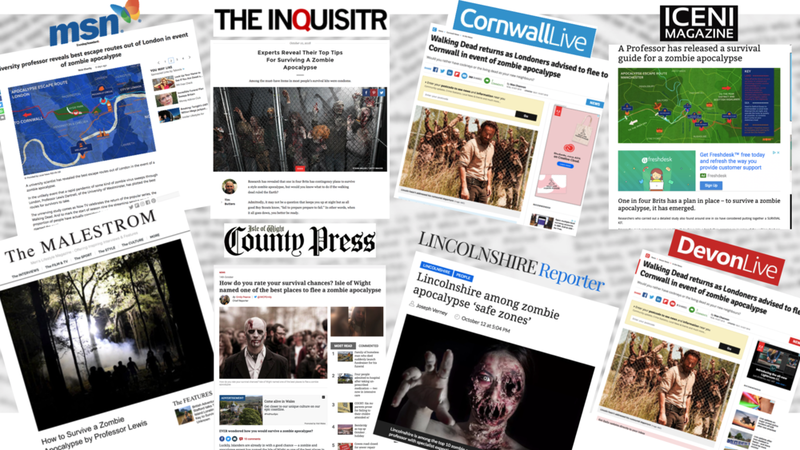 We partnered with apocalypse expert Professor Lewis Dartnell to create the ultimate guide to how to survive a zombie outbreak, including escape routes out of London and Manchester and the top 10 safest places to hide in the UK. We combined this with quirky consumer research to create some real media impact. Our clever and visual news campaign created real cut through.